Fairfield Watson & Lewis Inc.
Medical Issues in Down Syndrome – What Families Need to Know! Introducing your Child's Abilities to their Peers/Teachers...Be Proactive! Not Reactive! Here’s What I Heard About Down Syndrome: FACT or FICTION? Elena is dynamic, opinionated, and somewhat unpredictable and can always be counted on to bring energy to the group. Elena was born in Japan to a Japanese mother, Hiromi, and an Australian father, Stephen, and this multi-cultural influence has carried throughout her life. She enjoys practicing traditional Japanese Taiko drumming and cooking. Elena has often struggled with accepting herself and her disability. Even just hearing the words, “Down syndrome,” evokes a visceral reaction. Her personal conflicts inspire the other cast members to examine their own self-images and ideas of what it means to be an adult with Down syndrome. Jillian is a speech and language pathologist at the Down Syndrome Research Foundation in Burnaby, BC. She completed her Master’s degree in Speech-Language Pathology at UBC and her Bachelor of Arts degree in Psychology at the University of Saskatchewan. Before joining the DSRF, she provided speech, language, and swallowing support to adults with brain injuries at an inpatient rehabilitation centre in Calgary, AB. Danielle is an elementary school teacher with over 15 years of experience in the classroom. She is also the mother of two children with DS, Mia (8) and Aiden (6). When Mia was in grade 2 her school was looking for someone to come and offer PD on teaching math to children with DS and other special needs. They couldn’t find anyone so Danielle decided to help them find someone. Danielle will be presenting with Adele Olsen. Danielle and Adele met at a mom’s group where Danielle shared about the need for someone to teach educators how to teach math to children with DS. Together they researched the topic and since then have presented in schools and at the Edmonton Down Syndrome Society. They also presented at the Edmonton Teacher’s Convention in March 2017. About VATTA: This exciting project has created a valuable Canadian resource that helps out the Canadian Down Syndrome Society because these adults are able to share their voices. VATTA speaks for all Canadians with Down syndrome, especially self-advocates who aren’t able to use their voice. Barb wants to live in a world filled with inclusive education, access to essential services, books that come bundled with mint chocolate bar, and a killer cup of coffee along with the ability to eat plain rippled chips and dip that have zero calories. Barb completed her Bachelor Degree in Education in 1989 and went on to be an Award-Winning Educator. As an educator, she’s taught children from K-6 and junior high, and she was also a former administrator. Barb has also tutored children, taught Sunday school, and night school for adults requiring English as a second language. In her career as a teacher Barb won the “Who Makes School Cool Award” in June 2000. She was also awarded the Alberta Teacher Excellence Award in 2004 with Provincial Recognition. Barb was a guest panelist on the “Let’s Talk Show” for the Women in the North Conference held in April 2016 in Peace River. When Barb is not taking online courses and researching Down syndrome information she is also busy assisting her husband run two restaurants and an office complex. As a couple they strive to be an employer of choice and are Award-Winning Business Owners – They received the President’s Award of Excellence (local Chamber of Commerce) in October of 2012. This past December, Barb and her husband Gordon won the Premier’s Council Award for Employment Excellence with Provincial Recognition. They have demonstrated outstanding achievement and leadership in making positive changes that create inclusive, barrier-free communities where persons with disabilities can fully participate. Barb is keenly passionate to ensure all children have access to good quality education, access to resources while having fun in the pursuit! She loves cutting-edge techniques and programs that strengthen brain function. In the past she was heavily involved in the SOI (Structure of Intellect program) and more recently has become a TLP Provider – a music listening program, personalized to improve brain fitness at any age, level, or ability. TLP involves listening to acoustically-modified instrumental music through high-quality headphones with bone conduction allow a multi-sensory audio system to reduce stress, improve focus, self-regulation, learning, memory, and more. Barb’s future plans are to write a book, obtain her Master’s degree, and learn how to take naps. Kory Earle is a young disability rights expert who lives in Lanark County, Ontario. Kory has had to fight for many of his own rights and became active with his local People First chapter in 2006. Within three years he was President of that chapter and became active in the provincial chapter – People First of Ontario. By 2009, Kory was appointed as the Youth Representative to the board of People First of Canada, and has been on the national board ever since. He is currently the 2014 – 2017 President. Kory has represented People First of Canada at the United Nations in New York City, and is currently the representative for PFC as an affiliate member with Inclusion International. Kory's mission is to ensure that all people with disabilities are treated equally, that their rights are respected, and that they are seen as everyday people. Kory is very vocal in his opinions and has been interviewed numerous times in local radio and print media. Kory credits the founding members of the People First movement for helping him develop as a leader and activist and continues this role by mentoring new members to the movement. where she is studying Family-Centered Positive Behaviour Support under Dr. Joe Lucyshyn. Although David Fischl is known to many as an award winning manager from Saskatchewan, he is gaining fame as a presenter on the difficult subject of integrating persons with cognitive disabilities into unionized workplaces. For over three decades, Dave worked with the Saskatchewan Ministry of Highways and Infrastructure where he was involved in downsizing, rightsizing and reorganizing his Ministry. His excellence in leading and mentoring hundreds of employees over this time lead to his receiving The Premier's Award of Excellence in 2005. Fischl's concurrent role as Workplace Diversity Coordinator gave Dave the opportunity to present to many Government of Saskatchewan ministries as well as to speak at conferences and conventions across the country. Dave presents on the value of a diverse workforce in the broadest terms, however his recent work as a speaker has focused on the areas of creating a workplace that embraces diversity, the benefits of an inclusive workforce, and how he carved positions in the workplace for persons with cognitive disabilities. His work in this area over the past decade has lead to Dave receiving the Saskatchewan Centennial Medal on Diversity in 2005. The Chair of the Public Service Commission had this to say about Dave's passion and the impact he has had on government leaders across the province: "Dave, your powerful stories of diversity and inclusion have been heard by 1693 individuals across the province. That is extremely impressive. You have created excitement about diversity and the possibility of building a more inclusive workplace. Participants were inspired by your passion and motivated by the success of diversity initiatives you implemented in the Ministry of Highways and Infrastructure." Dave Fischl presents his arguments for diversity in the workplace in a compelling, professional and ethical way, inspiring leaders to look beyond what they have done in the past! Shelley Fletcher has been the Executive Director of People First of Canada since 2002. Prior to her national position, Shelley had been employed and active in the disability rights movement locally and provincially in Manitoba. Once introduced to the People First movement, Shelley began her involvement through volunteering, which soon turned into a full-time national position. A strong advocate for people labelled with an intellectual disability, Shelley credits People First for providing her with some amazing opportunities in her national role. She is proud to have been part of the team that produced The Freedom Tour, and was honoured to speak at the United Nations headquarters in New York. Shelley is also a representative on the Canadian Joint Task Force on the Right to Live in Community. Through People First, Shelley’s involvement with the international disability community has provided her with very moving experiences on the lives and treatment of people with intellectual disabilities throughout the world. She is acutely aware of the exclusion and discrimination that many people with intellectual disabilities face in their lives and works daily towards advancing the agenda on a more inclusive Canada. Shelley has spent the last 17 years living rurally in Manitoba, and has recently relocated back to Winnipeg with her two children. Lisa is a Calgary lawyer who practices in the area of wills and estates, and helps families with estate planning, blended family issues and consideration as to preserving AISH benefits, and drafting appropriate trusts in testamentary documents. Lisa also assists families in making applications under the Adult Guardianship and Trusteeship Act. Lisa loves this area of the law; she’s honoured at being trusted by clients to help them to identify their values, tell their stories and preserve their legacies. Dr. Yona Lunsky is a Clinician-Scientist in Adult Neurodevelopmental Services and Director of the Health Care Access Research and Developmental Disabilities (H-CARDD) Program at the Centre for Addiction and Mental Health. She is Professor and Developmental Disabilities Lead in the Department of Psychiatry at the University of Toronto and Adjunct Scientist at the Institute for Clinical Evaluative Sciences (ICES). Click here for a guide for families on dual diagnosis. Sean is a self-professed, “ladies’ man.” But beneath a seemingly singular focus on “babes” lies a multi-talented athlete and a caring friend. Belinda Mendes was born and raised in Calgary, and works as Family Counsellor at the Alberta Children’s Hospital. Belinda is married and has 2 wonderful yet busy children. Her first born, Grayson, was born with Down syndrome and is also a cancer survivor (currently in remission). Her daughter Gabriella, is a spicy-tempered toddler who follows her brother around all day. Belinda found Adele’s Over the Rainbow Baskets through Facebook, and struck up an immediate friendship with Krista (especially after deciding Grayson and Adele should be betrothed). Belinda joined Adele’s Over the Rainbow Baskets last year, and shares Krista’s vision of the importance of supporting new families while spreading awareness of the beauty of Down syndrome. Based in Vancouver, British Columbia, Shelley Moore consults locally, provincially and beyond. Her interactive presentations are based on contexts of specific schools and communities and integrate theory and effective practices of inclusion, special education, curriculum and technology. She completed an undergraduate degree in Special Education at the University of Alberta, her masters at Simon Fraser University, and is currently a PhD student at the University of British Columbia. Shelley is the author of the recently published One Without the Other: Stories of unity through diversity and inclusion. Angela is a Postdoctoral Fellow in Developmental Psychology at the University of Toronto. She will be presenting with her two sisters, Jacqueline a Speech-Language Pathologist who works with children with intellectual disabilities and their families in Calgary, and Valerie a self-advocate, athlete, blogger and owner of Downright Valuable Ltd, they are originally from London, Ontario. They have supported each other throughout their lives to build their careers, hobbies, relationships, and networks. Their relationships with one another have helped shape the meaningful lives they lead today. Jacqueline is a Speech-Language Pathologist who works with children with intellectual disabilities and their families in Calgary. She will be presenting with her two sisters, Valerie a self-advocate, athlete, blogger and owner of Downright Valuable Ltd, and Angela a Postdoctoral Fellow in Developmental Psychology at the University of Toronto, they are originally from London, Ontario. They have supported each other throughout their lives to build their careers, hobbies, relationships, and networks. Their relationships with one another have helped shape the meaningful lives they lead today. Valerie is a self-advocate, athlete, blogger and owner of Downright Valuable Ltd. She will be presenting with her two sisters, Angela a Postdoctoral Fellow in Developmental Psychology at the University of Toronto, and Jacqueline a Speech-Language Pathologist who works with children with intellectual disabilities and their families in Calgary, they are originally from London, Ontario. They have supported each other throughout their lives to build their careers, hobbies, relationships, and networks. Their relationships with one another have helped shape the meaningful lives they lead today. Adele Olson is a middle school math teacher with over 10 years of experience in the classroom. She is also the mother to one daughter, Charlotte (1) who also happens to have Down Syndrome. Adele will be speaking with Danielle Barnes, Adele and Danielle met at a mom’s group where Danielle shared about the need for someone to teach educators how to teach math to children with DS. Together they researched the topic and since then have presented in schools and at the Edmonton Down Syndrome Society. They also presented at the Edmonton Teacher’s Convention in March 2017. Lina Patel, PsyD is an Assistant Professor of Child and Adolescent Psychiatry at the University of Colorado School of Medicine, practicing at Children’s Hospital Colorado. Dr. Patel is the Director of Psychology for the Anna and John J. Sie Center for Down Syndrome, a multidisciplinary consultative clinic coordinating care for infants, children, teens and young adults with Down syndrome. Dr. Patel is responsible for management of all referrals for psychological treatment and evaluation. She provides consultation with schools, parent training regarding the management of challenging or unsafe behaviors, evaluation for dual diagnoses (Down syndrome and Autism), toilet training, and desensitization to medical devices (such as hearing aids and CPAP) and procedure-related distress. Outside of her clinical work, she has presented to numerous organizations across the country with a focus on behavioral interventions with individuals with Down syndrome. She also conducts research on clinical issues impacting those with Down syndrome. Jon Jon Rivero is a member of the Canadian Association of Professional Speakers, the Global Speakers Federation, and has served and connected with thousands of people all over the world. In 2006, he was the recipient of the Alberta Rehabilitation Coordinating Council Sunrise Therapist Award, which recognized him as the top clinician contributing to rehabilitation medicine within their first 2 years of practice. As the Founder and CEO of Qi Creative Inc. (www.qicreative.com) he integrates his creative talents and passions to inspire children, adolescents, families, and schools living with special needs and trauma by celebrating their talents and strengths to overcome challenges. Jon Jon co-authored the International Children’s Book, My Name Is Trauma (www.mynameistrauma.com) and conducts seminars, keynotes, and resilience training in disaster relief areas. He is featured internationally at educational and leadership conferences around the world. As a spoken word artist and producer, he has collaborated with thousands of youth activists and leaders from various countries to use their strengths and talents to promote peace, creativity, and unity in their respective local communities. Jon Jon is the founder of the Balikbayan Project Philippines (www.balikproject.com) and is committed to working with youth and families living with trauma in Tacloban, Leyte by collaborating with orphanages, rehabilitation medicine clinics, and schools to create safe and meaningful art forms of therapeutic healing through self-expression. As an author, 5th Dan black belt Master, musician, and filmmaker, Jon Jon is committed to positively influencing the world, one community, one family, one child at a time. Riley has been a speech pathologist with the Down Syndrome Research Foundation since 2012. She is especially interested in supporting families through the early development of feeding and speech skills. Krista Rowland-Collins is a mother, wife, teacher and founder of Adele’s Over the Rainbow Baskets. She attended Mount Royal University and The University of Calgary. She graduated without honours, which was ok in her books but she did have a full scholarship, so parking fees were bearable. Krista thought about doing stand-up comedy, but chose to use her grades 1, 5 and 6 students as her audience, as they had no choice. Krista later went on to teach at-risk high school girls, where they thought her comedy routine was sub-par. Krista has two beautiful girls, Brinley and Adele. She is also married to a man who has a load of patience. Krista realized that after giving birth to one awesome little girl, new parents who have a baby born with Down syndrome, needed support, a basket full of goodies, a valuable resource list and a great big CONGRATULATIONS. Krista’s goal is to educate and show others the true beauty which lies within every individual with Down syndrome. Dr. Alyssa Siegel is a general pediatrician who cares for patients at the Trisomy 21 Program at the Children’s Hospital of Philadelphia. She is a Clinical Assistant Professor at the Perelman School of Medicine at the University of Pennsylvania. Dr. Siegel has authored articles and textbook chapters for parent and physician education, and regularly participates as a reviewer for the audio-digest, Practical Reviews in Pediatrics. Dr. Siegel has developed on-line educational materials regarding the medical complications of Trisomy 21 for the American College of Physicians. She has been an invited speaker at national conferences, including the 2016 Canadian Down Syndrome Society Conference and the National Down Syndrome Congress. Curtis Slater is the Monitoring and Evaluation Manager at the Vecova Centre for Disability Services and Research and is also Board President for the PREP program in Calgary. In addition to his work in the disability sector, Curtis is the father to four boys, the oldest of which has Down syndrome. Curtis is passionate about improving the lives of persons with disabilities and has a keen interest in the role that technology can play in promoting skill development, providing daily supports, and increasing the level of independence for persons with disabilities. Suzanne is passionate about working with families to help them achieve their financial goals. With specialized knowledge of Registered Disability Savings Plans, she works with clients to maximize the government benefits they receive. Suzanne has a strong appreciation for the additional pressures that an individual with disabilities experiences and how this can affect their families. Her primary role is to utilize financial planning to ensure security and continuity for her clients. the lead teacher. Eleanor is a BC certified teacher who has a Master’s degree in Educational Psychology, with a specialization in reading and exceptionality, from Simon Fraser University. She completed her Bachelor of Education at McGill University. Dr. Vellody completed his medical degree at the University of Illinois at Chicago College of Medicine and his pediatric residency at the Children’s Hospital of Wisconsin in Milwaukee. He is an Associate Professor of Pediatrics at the University of Pittsburgh School of Medicine. In March 2009, he assumed the role of Medical Director at the Down Syndrome Center of Western Pennsylvania. Since then, Dr. Vellody has spoken at a variety of local, regional, and national meetings on the care of children with Down syndrome. He serves on the Executive Committee of the board of the National Down Syndrome Congress and chairs their Professional Advisory Council. He has created podcasts on the care of their children and has also created a blog for parents. Dr. Vellody became a pediatrician in large part because of his relationship with his older brother, Das, who is smart, funny, caring, . . . and also has Down syndrome. Click here to listen to the Down Syndrome Center at Children's Hospital of Pittsburgh Podcasts. We are located in Calgary, Alberta, Canada and were established as a registered non-profit in 1984. Our mission is to be a vibrant family support group that enriches the lives of individuals with Down syndrome and their families by advancing education through conferences, workshops, seminars and social activities which creates awareness and acceptance in the broader community. Our vision is to promote and create lifelong partnerships that foster family connections, friendships, healthy lifestyle, an inclusive community, and a future without limits. The PREP Program (PREP) is where families, who have a child with Down syndrome, find expert advice, innovative services, and best of all, hope, for their child’s future. The goal is “inclusion for life” and that begins in the home, continues at school, then leads to an independent life with a meaningful job. Parents connect in a welcoming, supportive community that accepts their child’s disability yet challenges them to expect more. PREP partners with government, community sponsors, and individual donors to provide educational, therapy and family support services that enable each child to achieve his or her own unique potential and help parents become their child’s best advocate. AIM stands for "Ability in Me". The AIM Program is a non-profit Saskatchewan based organization located in Saskatoon. AIM provides education and support services for children with Down syndrome between 0 and 22 years of age, helping them reach their full potential. Services include speech and language therapy, inclusion strategies, literacy programming, music therapy and occupational therapy. Staff work collaboratively with parents and caregivers, as well as health and education professionals. A story about a princess who wishes for a sister and when her wish comes true, she is born with an extra chromosome. The princess announces she is indeed perfect. The book can also be purchased through Amazon.ca and at friends of the Hospital gift shop at the Stollery Children's Hospital, and Audrey's books on Jasper Avenue in Edmonton. We are a social enterprise determined to help artists with developmental disabilities earn a living. Come visit us to learn how to get involved (whether you're an artist or a support organization). We also have limited quantities of product featuring the amazing work of our amazing artists! Join us Friday night for the welcome party! There will be fun for the whole family. Come try your skills on our carnival games while enjoying good music, entertainment, and surprises. Everyone is invited, even those not registered for the conference! The Government of Canada has committed to adopting a strong federal accessibility act to remove and prevent barriers facing people with disabilities. People First of Canada is involved in an initiative called “The Alliance for an Inclusive and Accessible Canada”. The Alliance is consulting Canadians about this new act. We want to hear about your inclusion and accessibility priorities. We are seeking input from people with disabilities, their families and caregivers. Join us for an open discussion about what a Canadian Accessibility Act should include. This is your chance to be heard! People with Down syndrome are at increased risk for several medical conditions. Many families (and doctors) are not familiar with the most important issues that can occur. This presentation will cover the common medical, developmental, and behavioral conditions that occur at a higher frequency in people with Down syndrome. The AAP Healthcare Guidelines which are intended to screen for and hopefully prevent these issues will be discussed. There will be a time for general audience questions following the presentation. This lecture will include some optional audience participation questions. To make your experience more interactive, please consider downloading the smartphone app “PollEverywhere” prior to attending. Developing a rewarding life, one that holds meaning for the individual, is a goal to which everyone aspires. For people with Down syndrome, achieving that goal is not only possible, but also enjoyable to plan. In this session, siblings Angela Nyhout, PhD (Developmental Psychology), Jacqueline Nyhout, M.CL.Sc, R.SLP, S-LP(C) (Speech-Language Pathologist) and Valerie Nyhout, (business owner, blogger, full-time employee of Diply.com and a person with Down syndrome) share their practical strategies for Building a Meaningful Life. A life rich with relationships and activities and with goals and purpose is a life lived with satisfaction and yes, is attainable. Join this “Sisters Symposium” as they inspire everyone to work toward a full life. quality of life. We will share Positive Behaviour Support principles and strategies, tailored to children with DS, to help educators and families promote appropriate behaviour and interactions from an early age. Beginning with an overview, we will discuss the components of reading and how to adapt and modify instruction to meet the needs of learners with Down syndrome. In this break out session, you will be introduced to fun, hands on methods for teaching high meaning sight words to beginning readers. We will explore how reading instruction can be beneficial for developing attention to task, expressive and receptive language and listening comprehension. We will also look at developing phonological awareness in learners with Down syndrome and how to incorporate instruction in phonics. Participants will have the opportunity to use the materials and try out learning activities. This session will focus on the development of the mouth in Down syndrome from birth to childhood. We’ll discuss the interrelationship of oral structures and their functions, and consider the impacts on speech, feeding, and breathing. Implications for selecting oral-motor treatment goals and approaches will be discussed, as well as looking at how to foster a preventative approach from birth. Specific guideline-directed care for people with Down syndrome is relatively new, and Down Syndrome Centers with access to specialists in Down syndrome are available in only some areas. This session provides an opportunity to ask questions about the care of your loved one with Down syndrome. Dr. Vellody is the Medical Director of the Down Syndrome Center of Western Pennsylvania which is one of the oldest Centers specializing in the care of children with Down syndrome in the U.S. Dr. Vellody is also a sibling to someone with Down syndrome so brings a family perspective as well. Questions will be asked and answered anonymously so that the privacy of the person with Down syndrome is maintained. This session will deconstruct what inclusive education means in today's classrooms and communities. We will also discuss common misunderstandings and myths and leave with ideas and possibilities of inclusive leaning communities and all who benefit. Participants will have the opportunity to try out materials and learning activities. Part 1: Balance. Professionals. Therapy. Siblings. Appointments. Career. Family. Community. Balance. How the importance of balance and taking care of yourself plays a vital role in raising a child with Down syndrome. Our journeys with Adele and Grayson and our mission to keep our family unit strong, change the world and provide a safe and nurturing environment for our children. Pre-natal support groups are lacking in our communities. Families feel they lack the necessary resources in order to confidently move forward with the pregnancy. With termination rates so high and families being given outdated pamphlets, there is a feeling of loneliness. The reason for Adele’s Over the Rainbow Baskets. The reason for Changing the Face of Beauty. The reason for defending the children in our community. Breaking down barriers, one small step at a time. This presentation will discuss the relationship between Down syndrome and dementia and how to recognize the early signs and symptoms associated with dementia. Jillian will emphasize healthy aging and protective strategies to reduce the risk of dementia and treatable conditions to consider and rule out. She will also provide general strategies to support communication with older individuals with Down syndrome who develop dementia. This session will look at how changing curricular models are moving away from deficit medical based frameworks to plans that look at the strengths and contributions of individuals. We will see examples and share strategies of how these strength based perspectives can guide program planning in classrooms with a focus on balance and growth rather than retrofitting and standardization. We will look at planning frameworks such as Response to Intervention and Class Profiles. Toilet training is an area that is incredibly complex and can be a frustrating process for families. This presentation will begin by reviewing the medical, behavioral, and environmental factors that impact children with Down syndrome more significantly than their neurotypical peers. Then, readiness skills will be addressed and the presenter will discuss the two main categories that children with Down syndrome fall into with regard to toilet training trajectory. Next, steps to take to begin the toilet training process within each of these categories will be presented. Finally, troubleshooting tips will be discussed while also leaving time for questions. Dave will expose the barriers that persons with disabilities and other persons from the different diversity groups face. He will discuss how companies can recognize those barriers and eliminate them. The presentation will open our eyes to the possibilities of a diverse engaged workforce. Fun for the whole family! This is an all ages event. More details to come! Children with Down syndrome often struggle with math because it is more abstract and because they need to be taught steps that aren’t traditionally taught in a classroom. This session focuses on strategies for teaching numeracy to children with Down syndrome. During the session participants discover the specific learning needs of children with Down syndrome and they are given a step by step approach to teaching numeracy skills in a way that is both meaningful and practical for kids with DS. They will also be equipped with specific teaching strategies that work for children with Down syndrome. This session focuses on the needs and skills of children at the elementary level but may also be applicable to older children who are struggling with numeracy. Some of the skills covered are; number recognition, numerical order, one to one correspondence, next,before,after, sorting, more or less, addition, subtraction and basic money skills. Parents and professionals will come away from this session understanding the importance of each step and why it needs to be mastered before moving on to the next step. The transition from the pediatric health care setting to the adult world of medicine presents many questions, challenges, and fears among parents and teens. The bonds enjoyed with long-standing pediatric providers will need to be re-established with an unfamiliar team, a process that requires building a new foundation of trust and mutual respect, as well as transferring accurate and complete information. To develop greater independence in this setting, a teen should maximize the skills required to manage their own health and gain confidence in advocating for him/herself. Expectations for active participation can be adjusted to meet an individual’s developmental potential. Considerations related to the transition process include financial preparation, securing transportation resources, and planning for further education or employment. In this workshop, families will discuss concerns related to planning the transition from youth to adulthood, with a strong focus on preparing for self-advocacy in health care. Video interviews will demonstrate how teens can formulate a better understanding of their own health care needs and practice communication with providers. A toolkit will be provided for teens and parents that will help engage the teen in the transition process and facilitate self-promotion in health care. As a parent and caregiver you’ve spent countless hours developing the proper structures and systems for your children. The loss of a parent and the change of a caregiver could disrupt this structure and be extremely traumatic, how do you ensure that you are prepared? The key is to have a plan to manage the change, this reduces the stress and helps support the transition. A well thought out plan will enhance your ability to maintain the systems you have created and help ensure that the goals you have in mind for your loved ones continue. Utilizing proper planning integrates government programs, registered savings plans and a specifically prepared will. Understanding what is needed, what is available and how to put it all together can make a significant difference to your family’s future. This session will discuss how to put the plan in place that will ensure your loved ones are taken care of. We all know how impactful it is when a group of people is able to use their own voice to teach others about the life they live, the challenges they face, the abilities they have, and the changes they want made. VATTA will discuss why it’s so important that Down syndrome and disability groups use the voices of the people they serve- people with Down syndrome themselves. 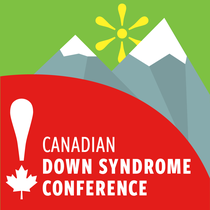 This presentation will show examples of how CDSS and VATTA have used the power of self-advocates’ voices to create change and break down stigmas. VATTA will also share their tips on how you can implement this in your own community! Mental health is important to everyone, including people with developmental disabilities such as Down syndrome, yet we don’t talk enough about how to promote mental wellness and how to recognize mental health problems when they begin. In this presentation, we will talk about what we know when it comes to mental health and developmental disabilities generally and Down syndrome specifically. I will share some ideas and strategies to help with the assessment and treatment of mental health issues. In the final part of the presentation, I will talk about family mental health, and its importance. Find out how to introduce and deliver information about your child to his/her peers and other school personnel. New school? New class? Or new staff working with your child? Whether your school is familiar with your child or not - this session allows you to return to your child's school and share information on Down syndrome and more specifically - all about YOUR child! In this presentation attendees will discover the power of being proactive when introducing their children with Down syndrome to his/her class and those working with your child. Allowing the other students to discover your child's abilities and disabilities through power-point presentation and hands on activity - the class and school personnel will be more open and accepting of who this new child is in their class. On the day your child enters - others will have a better understanding of what to expect and how to succeed with your child. From my own experience this is a valuable tool to educate peers and school staff alike has demonstrated they are more accepting, compassionate and understanding. Teachers and educational assistants and the whole school Team will discover your child's strengths and weakness, learn how having Down syndrome influences learning, along with tips and tricks on how to deal with their unique learning style and behavior. This session is not only geared to parents, but to all school personnel who is spending time with and educating a child with Down syndrome. Be proactive in giving your child a great introduction to their school life. Join me as I share what I know about my experience in having a son with Down syndrome. Your relatives, neighbors, and passing strangers all mean well, but can you trust the advice that they offer about issues related to Down syndrome? You searched the internet and found 3 different answers to the same question; what can you believe? You heard something about Down syndrome on the radio that just doesn’t seem right; are they confused, or are you? You always look for the most reliable information about Down syndrome, but rumors and misconceptions abound in popular culture. In game show format, this session will present statements on health and wellness topics important to individuals with Down syndrome. Audience volunteers will be challenged to judge whether each assertion is fact or fiction and will be rewarded with a focused discussion as answers are revealed. Categories will cover a broad range of practical topics, such as Breathe Easy: Understanding Obstructive Sleep Apnea, Don’t Avoid the Thyroid, Word Up: Promoting Communication Skills, and Be A Sport: All About Cervical Spine Instability. Come to play, cheer on fellow contestants, and separate the fact from fiction about Down syndrome. When we learn something new, everybody wins! This session will explore the impact that both existing and emerging technologies can have on the daily lives of persons with Down syndrome. Starting with a broader discussion of the benefits and challenges that technology poses for all persons with disabilities, the session will cover a number of existing technologies that are currently being used to support children and adults with Down syndrome. Participants will also learn about some emerging technologies that have the potential to dramatically impact the daily lives of persons with Down syndrome in the coming years. Participants will come away from this session with some broader thoughts about the roll that technology can play in the daily lives of persons with Down syndrome as well as some tangible examples of technologies that can be used today. Do you know children or adolescents who behave in challenging ways that stress you out in everyday life? Are you a parent, caregiver, or professional who has children or students who seem to behave defiantly, erratically, or in ways that stretch your patience and understanding? You are not alone. Learn the 7 secrets to becoming your very own sensory behaviour detective that will help you not only understand the drive behind behaviours but also ways to Replace, Extinguish, or Modify (R.E.M.) those behaviours to reduce stress and help you enhance your quality of life. When we think about health problems and Down syndrome, we usually think of things like heart problems, or breathing problems. But good health is not just about how are bodies are working, it is also about how we feel and how we think. This talk will explain how we can deal with stress, and feel good inside, but also cover what to do when we don’t feel right. How do we talk about it? Who do we tell and what can we do?